Advertising can be a lot of fun and when the subjects of your advertising are the Dodge vehicles with Hemi V8 engines under the hood, that fun is increased exponentially. This Automaker is ready to launch a new advertising campaign that features the idea that a specific place is ready to let you show off the muscle car that you want to drive so that you can enjoy the pure performance and the solid fun offered by the muscle car automaker you take with you. This new advertising launch will be a lot of fun to see as it comes to the shows you watch on a regular basis. 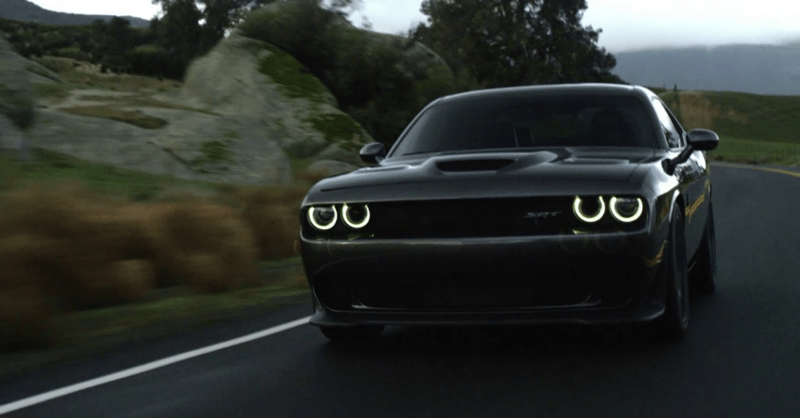 The Dodge brand advertising launch is called “Muscleville” and it will feature four new TV spots and a slew of digital/social media across the Facebook, Instagram, and Twitter channels of the brand. This new campaign marks the brand’s “Dodge Performance Days” sales event that will take place during the entire month of March. Linked below, you can see the first two of the spots that have been released on the YouTube channel for the automaker. Do you want to live in a place where you can race your Dodge Challenger Demon as a drag racer down Main Street? Do you want to perform donuts in your Dodge Charger Hellcat and show off the power and performance this car has under the hood? Is your Dodge Durango SRT waiting for you to take it out for a joyride? Would you like to have Bill Goldberg as the mayor of the city you live in that’s ideal for the performance you want to experience when you take your car out to the roads? Not only would you have the ability to show off the power and performance of the muscle car you love to drive in “Muscleville” the car you drive could be fast enough to make a radar gun smoke and need to be replaced. At least, this is the message that’s portrayed in one of the spots that have been put together for the new Dodge ad campaign. Take a look at the videos below and make your way to your nearby Dodge dealership and choose the Hemi-powered vehicle that’s right for you to have the drive you’re looking for today.